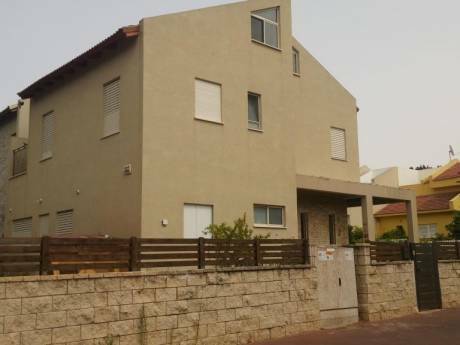 A nice 3 rooms big apartment situated in one of the nicest areas in Raanana. The apartment includes everything you need for your vacation; a living room, two bedrooms, fully equipt kitchen and dining area. The rooms are spacious. Two rooms have double beds and there are two bathrooms, one attached to the main bedroom. Two couples or a couple with two children will be able to live comfortably. We have a large beautiful green garden,with a built deck (150 meters). There two sitting areas and there is also a hammock. 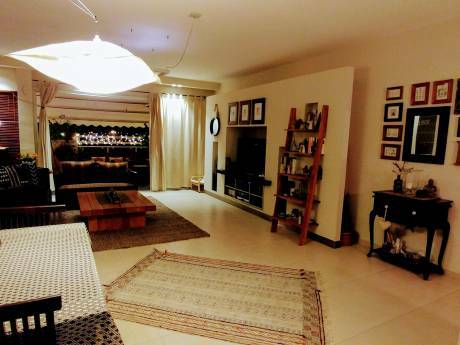 The apartment is situated on the first floor. Raanana is a town in the center of israel [85000} with the highest quality of life in Israel and the safest city in the Middle East. There is a large english and french speaking population. There are no main roads surrounding the apartment and it is very quiet during the day. There are lots of outdoor parks and gardens. A visitor could enjoy just walking around and enjoying the beauty of the city, just a few minutes to the center from our apartment. For visitors who want to keep up with their daily jogging, we have a large park near the house which includes a lake. A special area has been marked for jogging around the park. 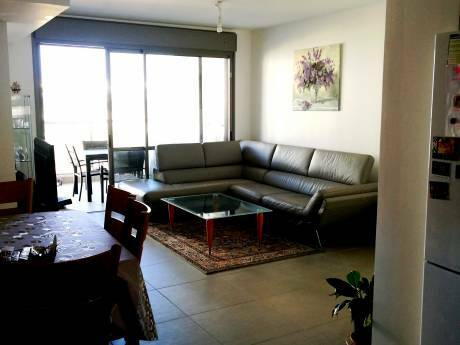 You can get to Tel Aviv in 12 minutes by car and we are situated 10 minutes from the nearest beach. If you want to spend a day in Jerusalem you only have to drive for one hour. Raanana is located in the center of Israel and you can get everywhere without spending hours driving.